A resume is the type of document an applicant has to provide when applying for a position or asking about job vacancies. It has to present to-the-point information about educational and professional experience, as well as contain relevant information about personal traits, additional skills and interests of the applicant. A resume calls for a formal writing style, business language, and a official tone. It is also most often accompanied by a cover letter or a motivational letter. Carefully read the advertisement or notification about the opening, as well as learn about the company in general. Make sure to find out all about the future responsibilities, and career and educational requirements of the applicants. Prepare a general form for your resume. Make a header that presents all your contact information: full name, date and place of birth, address, telephone numbers, and email address. Formulate a specific objective for your resume. List your academic career stages, starting from the most recent institution you have attended. List your professional experience (both paid and unpaid positions, internships, etc. ), starting from the most recent position held. Include the proper full name of the companies you worked in, along with a brief description of your responsibilities and tasks. Specify the employment time frames and provide contact information of the person to whom you reported or the HR department in general. List other experiences, additional skills, and volunteer work in which you were involved. Give a brief description of your positive personal traits (three to five adjectives are enough) and possibly, mention your other interests and extracurricular activities that are unrelated directly to work, but that characterize your personality. Include a separate section about your level of computer literacy (especially when applying for a computer-related position), with the list of specific programs and software you work with, as well as information about your language skills (especially in the case of applying to an international company). Complete a thorough proofreading to make sure your resume is grammatically correct and punctuated appropriately. A successful resume is well-structured, to-the-point, and specific. Remember, you will have a cover letter to accompany your resume, where you can give a more detailed account of your background information, experience, and goals. 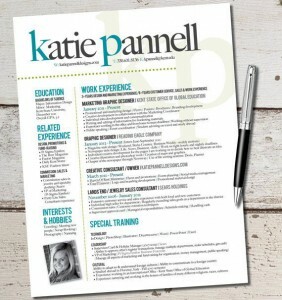 A resume is all about factual data to represent your qualifications, skills, and experience. Be specific about each position you held in the past. With this section being probably the most important part of your resume, where you tell the recipient about your past success as an employee, make sure to give the proper name of every position held, along with a brief bullet-point list of duties and responsibilities you were assigned. It is also a sound idea to give specific contact details for the HR department or employee you reported to, so that all the information you provide can be easily verified. Be precise and careful in terms of word choice when forming your objective. Many find it difficult to stay within the limit of a short sentence (normally 7-10 words). The key is to focus on the particular position you are applying for, single out the most important activity, task or job specification that it involves, and form an objective from it. When describing your personal qualities, do not include traits that will have nothing to do with the quality of your working performance. For example, while it is a great idea to say you are responsible, communicable, tolerant, patient, creative and punctual, it is probably not okay to say you are fun, emotional, impulsive, sensitive, kind-hearted, comical, etc. Do write a separate resume for every occasion. While you can leave the part about your background (educational and career) unchanged, the objective you formulate as the topic sentence of your resume has to be based on the specific vacancy in a particular organization. Do include information about your extracurricular activities. HR staff are looking for a person to work with side-by-side, which means preference will be given to a diverse, interesting, and well-rounded person who will be a pleasure to work with and not a workaholic. Do formulate your thoughts in short and simple statements. A resume is about being concrete and clear, especially when it comes to describing your previous work experience and duties. It has to be perfectly understandable what it is that you did and what you were responsible for. Don’t list more than five personal qualities. Choose only the most sharp and accurate characteristics that are closely related to professional performance. Don’t use negatives in your objective sentence. Avoid “no” and “not,” focusing instead on action-verbs and adverbs. Don’t lie in your resume. If you mention being a professional Adobe Photoshop user, or speaking Spanish fluently, be sure you can prove it in practice. Writing your resume and cover letter from the standpoint of why you need the job, not why the organization needs you as an employee. Your argumentation has to be based on what the company needs at the moment, what they are looking for in their future employee, and what it is that you have that other candidates do not. Going over the word limit and writing a 4-5 page resume. Remember, a hiring manager of any organization has to go through a lot of resumes, and the least you can do is respect their time by being concise, direct, and factual. Not taking time to learn about the company you want to work for, its goals, specialization, strengths, and weaknesses. Rushing with your resume, without a thorough proofreading or writing it at the last minute. Using the same resume for all job interviews and positions for which you apply. Show you are serious and hard-working when it comes to leaving a first impression, not lazy and careless. Now that you have acquainted yourself with the basic resume writing tips and rules, you can check out our resume samples to link theory with practice.